I don't know about you guys, but I personally have been hung up a few times while wheeling by the lower shock mount/lower rear control arm mount. I may be a technician but I'm no engineer, so I'd like some input on an idea. Say for example, that part on the rear axle for the bump stop wasn't there. 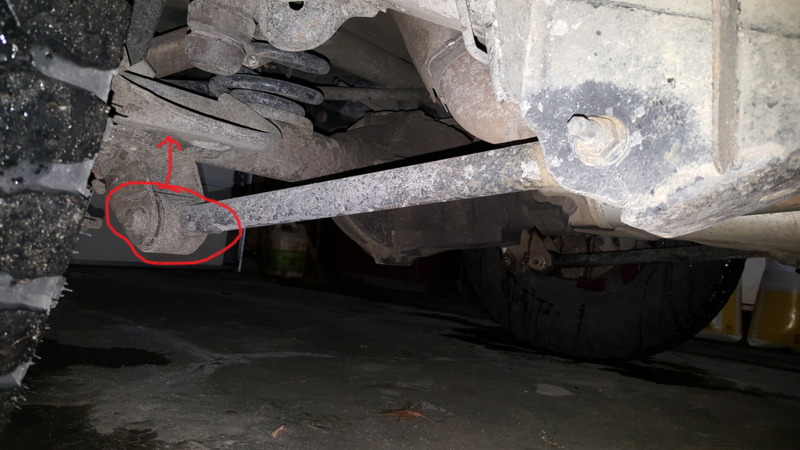 Would it be problematic to relocate the lower control arm mount to where the part the bump stop would hit is? I have no idea if it's even a good idea or not, I just want to have that mount moved up higher. Thanks for any input. Interesting idea. I'm most definitely no engineer either, hardly even experienced at all, but I think that would be problematic due to the pinion angle. The fact that the LCA mount is on the bottom side of the axle gives it a fulcrum point to "rotate" the axle on that axis to get the right pinion angle. That's how you adjust the angle with adjustable control arms. If you moved the mount up, straight to the middle of the axle, then it would probably just push it straight backwards instead of "rotating" it. Is that right? Also to think it keeps the axle from rotating under acceleration and deceleration. Along with the travel of suspension yo hit a bum it travels in a direction that works with the angle of the shocks and the forward movement of the vehicle. There is the upper control arm also but I don't think its strong enough to hold the rear end in place.